I love the classic feel of Bermuda, with its pink sand beaches, charming architecture, and lush gardens, so I’m thrilled that my first hotel amenity line has launched at Rosewood Bermuda, a beautiful resort on the island’s scenic coast at Tucker’s Point. The line includes six luxurious bath and body products—shampoo, conditioner, a body bar, facial bar, body wash, and a moisturizing body cream—each suffused with my Coral Palm fragrance. This tropical scent perfectly captures the destination’s sunny days and glorious coral sunsets, with citrus top notes of bergamot and Sicilian lemon paired with sparkling freesia and dewy greens, tuberose, ylang, golden gardenia, and heliotrope, with final creamy nuances of coconut milk, cedarwood, and vanilla. 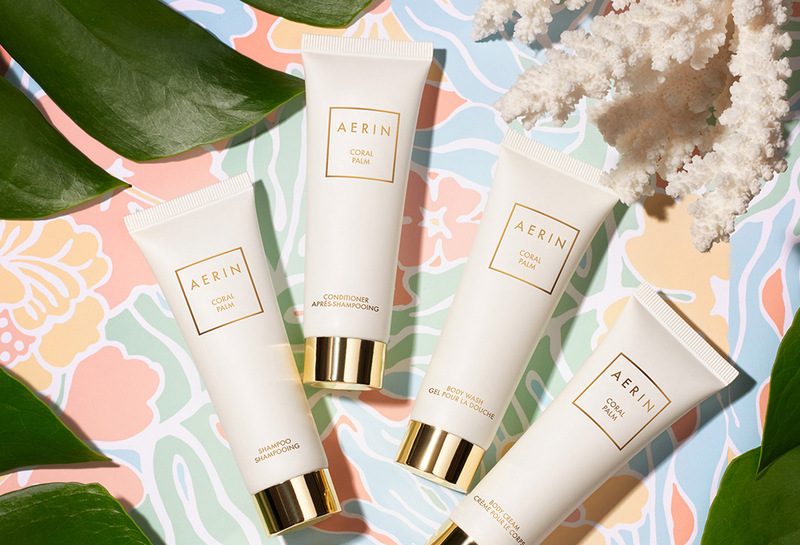 A curated collection from AERIN, as well as pieces from some of my favorite designers, is now available at the newly renovated Rosewood Bermuda’s boutique. Selected with island life in mind, the edit includes Rebecca de Ravenal earrings and raffia straw hats. My wardrobe of fragrances is also available to guests as part of the hotel’s Fragrance Butler program. Travel has always been a core inspiration at AERIN and I am excited to be expanding the brand at this beautiful hotel and destination.